Just how bad are trans fats, specifically partially hydrogenated oils (PHOs)? If you’ve been listening to the news lately, you may know that the FDA has moved to eliminate or further restrict the amount of processed trans fats in the American diet. PHOs have long been used by the commercial food industry to add texture and taste and to extend the shelf life of processed foods. The Centers for Disease Control and Prevention estimates that eliminating foods containing artificially produced trans fats could potentially prevent up to 20,000 heart attacks and 7,000 deaths from coronary heart disease each year in the U.S. This ingredient, which was once categorized as “generally recognized as safe,” has been slowly disappearing from processed and fast foods since a labeling requirement took effect in 2006. PHOs are an artificial substance formed during industrial processing by adding hydrogen to vegetable oil, which turns liquid oil into a solid fat, such as margarine or shortening. PHOs are now considered a serious threat to health as the science is clear that trans fats raise bad LDL cholesterol levels and lower good HDL cholesterol levels, contributing to fatty plaque build up in arteries. Research shows that trans fats may also increase blood levels of triglycerides and raise the risk of developing type 2 diabetes. PHOs can be found in many foods including baked goods, pizza dough, breakfast cereals, cake mixes, icing, and microwave popcorn. Small amounts of naturally occurring trans fats can be found in some meat and dairy products. The American Heart Association recommends limiting trans fats to less than one percent of your total calories each day. This means restricting your total intake to less than 20 calories daily if your dietary needs are 2,000 calories per day. This leaves virtually no room for industrially manufactured fats as we can easily use up those 20 calories by eating foods with naturally occurring trans fats. The good news is that the average American’s consumption of PHO’s has dropped from 4 grams per day in 2003 to 1 gram daily today. Those of us who frequently dine out may be eating many more trans fats than we realize. It is not unusual for restaurants to use PHOs in their commercial fryers, as the oil can be used a number of times. Although the ban on trans fats has yet to go into effect and it may be several years before artificial trans fats disappear altogether, food scientists are already working on alternative formulations to make processed foods as irresistibly tasty as possible. In the meantime, food manufacturers say that foods may taste different, will likely have shorter shelf lives, and we may see a cost increase. The FDA’s ongoing process to ban trans fats began 15 years ago. Michael Jacobson, the director of the advocacy group Center for Science in the Public Interest, states the move is “one of the most important lifesaving actions the FDA could take.” According to Jacobson, six months to a year should be more than enough time for food corporations to make the changes they need to make as they have had more than a decade to do just that. Some cities, such as New York and Philadelphia, and the state of California have already banned trans fats from restaurant food. A number of fast food restaurants are ahead of the curve and have stopped using PHO’s. Large food corporations have also reduced the amounts of trans fats in their products due to increased customer demand for healthier foods and their increased awareness of the health dangers of PHOs. Consumers appear to be heeding the wake-up call for whole fresh foods and are reading nutritional labels and the ingredient list in order to maintain a healthy diet. Smart shoppers will need to continue to be on the lookout for hidden trans fats in their favorite foods. 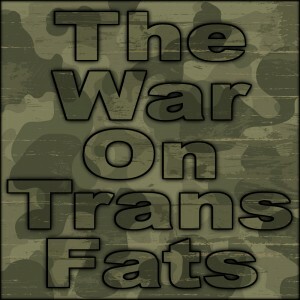 The recent FDA decision to ban trans fats is only the beginning of the end. It will take some time before trans fats are gradually phased out and totally eliminated from processed foods and restaurant meals. This entry was posted in Health & Wellness, Home and tagged trans fats. Bookmark the permalink.